By: Brooke Kenney on November 4, 2016. How we carry ourselves in the workplace is very important. It even applies to how we wear our makeup. We are expected to look our best, but appropriate when it comes to the amount of makeup we have on. Too little effort in our appearance portrays us as lazy, but too much makes us look unprofessional. Avoid both of these stereotypes all together with a few makeup tips that are appropriate for the workplace, but will still make you feel beautiful and confident. Avoid heavy makeup. Too much foundation makes your skin look cakey and probably darker than the rest of your body. Use a foundation that matches your skin, but do not go overboard in application. Light coverage that still makes you feel your best is great for the workplace. Finish it off with a powder that leaves your skin looking flawless. When using blush and/or bronzer, a little goes a long way. Add a touch of color for an awake and fresh look. A helpful tip when doing your eye shadow for work is to go natural. Never choose dark colors such as black or blues. Opt for colors that enhance your eyes without adding too much drama. Use enough mascara to define your lashes, but avoid caking on the mascara and fake lashes. You want to look ready for the office, not the club. Eyeliner can be worn if it is a staple in your everyday look, but do not go heavy on the line. A nice thin line enhances the eyes without making them look too heavy. 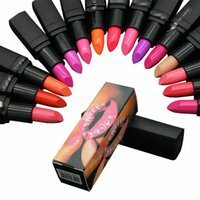 Pretty natural lipsticks or glosses are perfect for the workplace. Never use bright neon colors or dark colors. Add color to your lips in the most natural way. Always remember that a little goes a long way when applying makeup for the workplace. Your goal is to look fresh and professional. Your colleagues should talk about your work not your makeup. Find the natural colors that enhance your features and still make you look beautiful and confident.